One skatetool to rule them all! The Reflex Utilitool is the most complete skatetool. 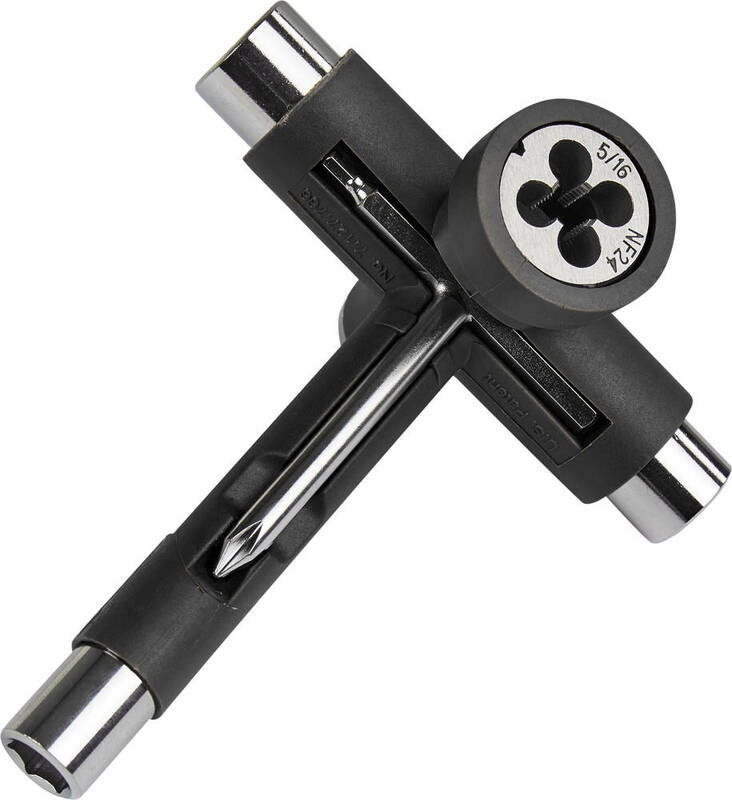 A combination of 8 essential tool functions in one tool. 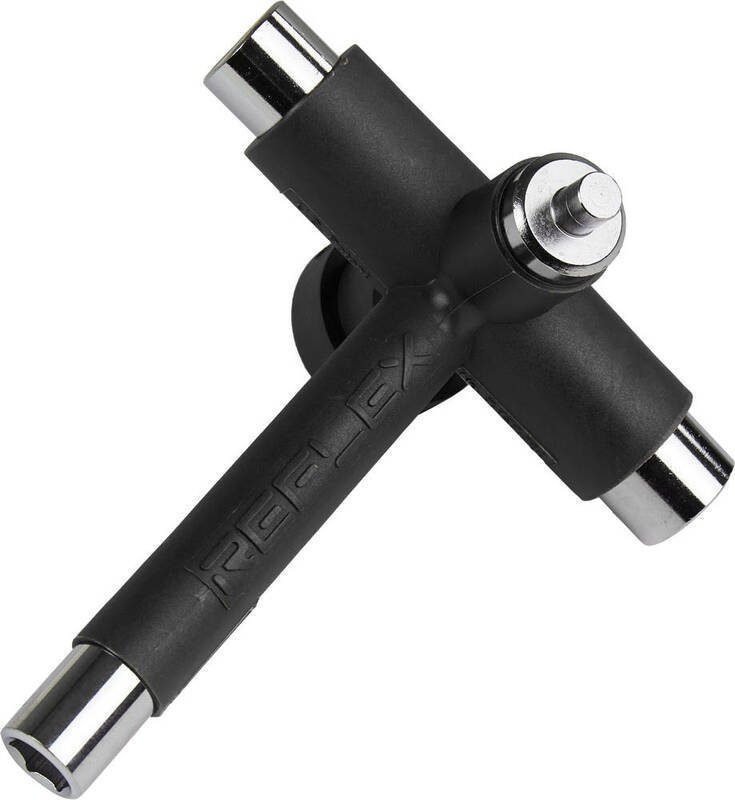 The Reflex Utilitool differs from other skatetools by having a bearing remover/press and a re-threader built into it. The re-threader eliminates the days where a smashed truck thread can put a stop to a good session. Simply rethread your axles and you are ready to go again. Very useful tool! I recommend it for everyone who is skateboarding. Really useful tool. Could be a bit sturdier though as the shaft started to bend when I tried to remove bearings.